Building a home studio is a fantastic way to record from the comfort of your own house, but many people underestimate just how much goes into setting up a private recording room. 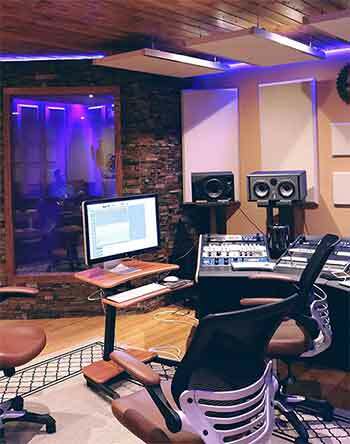 Professional studios are more than just rooms full of microphones and monitors–they are specifically designed to have great acoustics to capture the best possible sound. Some people think that turning an empty room into a pro-level studio is as simple as slapping some foam on the walls, but the reality is much more complicated. Thankfully, we’ve put together a step-by-step guide for everything you need to know to get your home studio up and running in no time with the proper Acoustic setup. Before you get to work in your studio, it’s a good idea to understand the basics of room acoustics and how they work. Though it may seem complex at first glance, the way sound travels is relatively straightforward when you look at it. The sound waves radiate out from the source in all directions. Some of the sound waves, known as direct sound, travel directly to the microphone. The rest of the sound waves, known as reflected sound, keep traveling and bounce off the various surfaces of the room (walls, ceiling, people, etc.). Eventually, some of the reflected sound waves bounce back to the microphone and are recorded along with the initial direct sound waves. As you can probably guess, the direct sound is purer and will sound better on the recording. The reflected sound, however, has changed due to its various trips around the room, and it can affect the recording if it is picked up by a microphone. Though this reflected sound can make the overall sound quality either better or worse, it tends to make it worse in rooms that have poor acoustics. 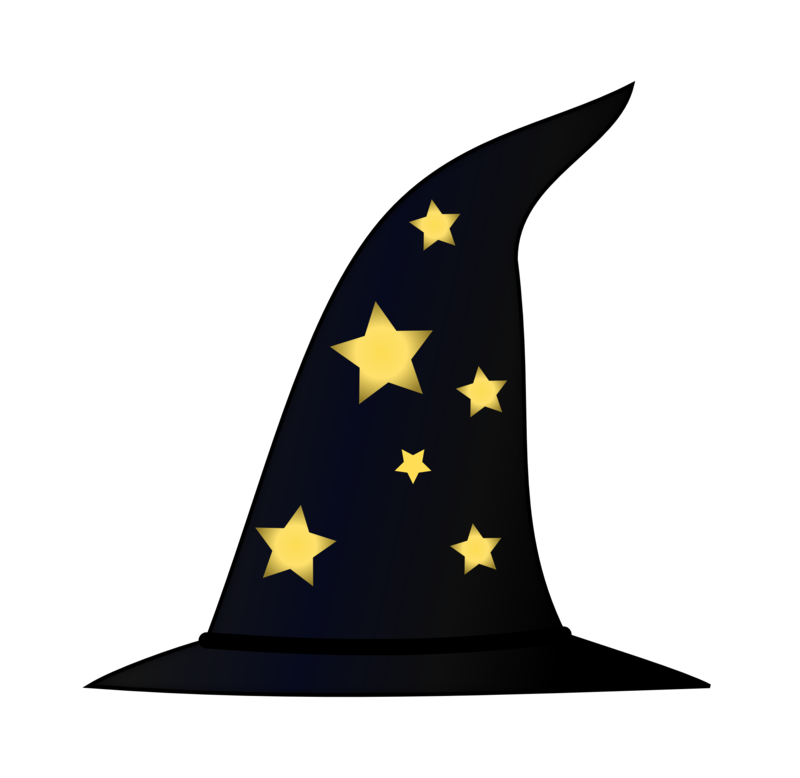 Have you ever noticed that music played in massive theaters or cathedrals with high vaulted ceilings tends to sound better than music played in small, cramped rooms? That’s because these big venues are specifically designed to have great acoustics by providing the reflected sound plenty of space to move around before it reaches your ear. Unfortunately, building a theater-sized room in your home isn’t exactly practical, which is why other sound-altering techniques have arisen over time. Since the invention of electronic recording equipment, people have discovered several different ways to improve recorded acoustics. Devices that could simulate the reverberations of different rooms paved the way for modern software, and today, digital reverb can alter the overall acoustic quality when mixing a piece of music. But to add good acoustic qualities to a track, you must first remove the bad acoustic attributes created by natural reverb. The best way to remove the reverb from a recording is to absorb it so that it is never recorded in the first place. 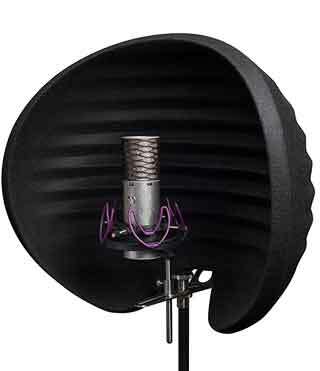 This has led to the introduction of foam panels, the textured pieces of gray or black foam that you probably imagine when you picture a recording studio. These panels absorb the reflected sound produced by an instrument or singer, which means that the direct sound is the only thing recorded on the microphone. In theory, this should yield a perfect, pure sound, but this is not the case. When ALL of the reflected sound is taken out, the music can sound dead and hollow, so people had to find a way to keep some but not all of the natural reverb. Normally, reflected sound waves get trapped in one spot, which can amplify some frequencies and deaden others. To find the proper balance, diffusers (big panels filled with holes of varying depths) scatter reflections so that the sound waves aren’t trapped, and the natural tone is preserved. By working in conjunction with the absorbers, these diffusers manipulate sound waves to help create a complex, professional recording. Although numerous people use these two terms interchangeably because both rely on big foam panels, they are completely different concepts. Soundproofing is the act of plugging air gaps and surrounding the room with heavy material to block the escape of noise, which in turn helps prevent sound from disturbing family members or neighbors. While this is great for keeping a quiet home environment outside the studio, it won’t do anything to improve the quality of your recordings. In contrast, acoustical treatment optimizes the way that sound bounces around the room and helps ensure you get a clean recording. It does not, however, prevent sound from escaping the room. Soundproofing is sometimes included as part of an acoustical treatment plan, but they are NOT the same thing. When setting up a new home studio, one of the worst things you can do is to start adding absorbers and diffusers at random. To maximize the quality of sound in the room, you first need to determine how much work needs to be done. Clap your hands loudly or sing a note in various spots around the room and consider what the reverberations sound like. The smaller and squarer your room is, the worse the reverb will be, and the more effort you will have to put into designing a proper recording environment. If you need a frame of reference for acoustic quality, try this same technique in a large asymmetrical room and note the difference between the results here and the results in your studio. Then, as you work on your acoustic setup, keep testing every so often to see how the reverb changes throughout the whole process. 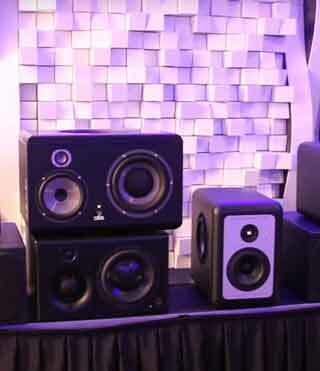 Bass traps are the single most critical element in acoustic treatment; despite their name, they actually absorb low, medium, and high frequencies alike. If your home studio already has decent acoustics, bass traps may be all you need. 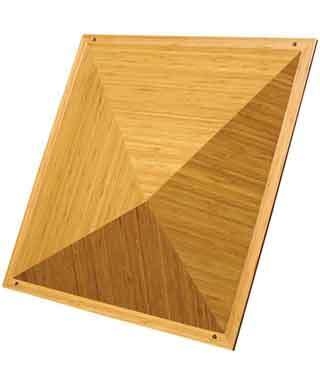 Unlike bass traps, acoustic panels specialize in absorbing medium and high-frequency sounds. They are thinner than bass traps, meaning they act as a great supplemental element that can cover more area for less money. 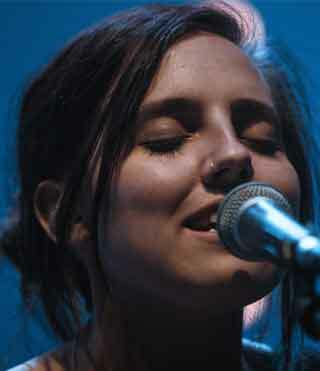 Their one significant disadvantage is that they don’t absorb low tones, so they cannot be used alone as bass traps can. Unlike the first two elements which absorb sound waves, diffusers specialize in preventing sound waves from being trapped in corners or other tight spaces. Though some argue that diffusers are unnecessary in cramped home studios that are too small to trap much sound, it never hurts to add a few if you still have space and budget. 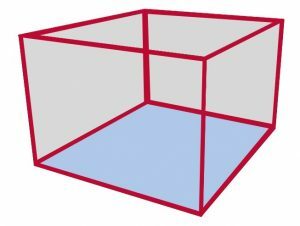 Trihedral corners – In a perfect cube room, the trihedral corners are the eight traditional corners where the walls intersect with the floor and ceiling. These corners should be the priority during treatment. 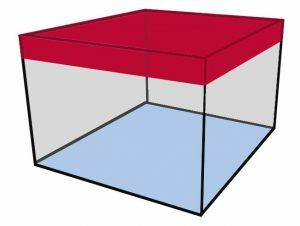 Dihedral corners – Dihedral corners form the perimeter of the room, meaning they are made of the seams where a wall meets the floor, the ceiling, or another perpendicular wall. These corners should be the second priority during acoustic setup. Walls – Walls are the flat planes that fill the space between dihedral corners. They should be the last priority during treatment. But why are some of these areas more important than others? 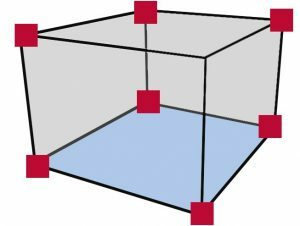 At trihedral corners, three different planes intersect, meaning that adding absorbers here will catch sound traveling in three different directions. In a similar vein, placing absorbers on dihedral corners will catch sound going two directions, where absorbers on flat walls can only catch sound waves traveling directly at them. By following a basic plan of attack, you can maximize the acoustics of your studio, no matter the configuration or size of the room. Step 1: Place bass traps in the Trihedral Corners, so they absorb the most possible sound. The Trihedral Corners are shown as red blocks. Step 2: Place any remaining bass traps in the Dihedral Corners which are highlighted in red. 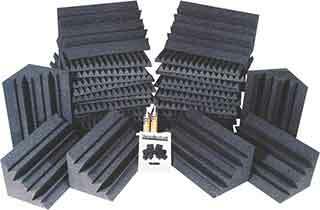 If you do not have any more bass traps, begin using acoustic panels, but be careful not to use them all. 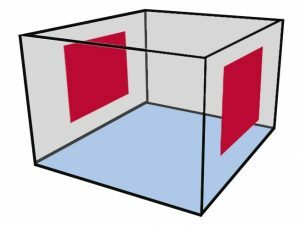 Step 3: Place acoustic panels on opposite walls to absorb frequencies that bounce back and forth as shown in red on diagram. For maximum effectiveness, stagger their placement instead of aligning them directly across from each other. Step 4: If you are using Diffusers, place them on the ceiling or the upper portion of the walls above head level. Displayed in red. Everything below head level should be Absorbers to capture initial reverberations. 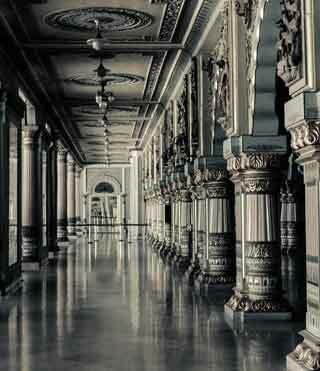 Note that these steps work best for a live room, or a room in which music is played and recorded. If you want to set up a control room for mixing music, your layout will be a bit different. As you can probably guess, setting up a proper home studio can cost a lot of money. Thankfully, there are a few simple methods that can improve the acoustics of a room without breaking the bank. Though they won’t yield the same level of results as a professionally treated studio, they can still make a big difference in improving the quality of your recordings. When considering low-level treatment, many people think of installing thick carpeting and lining their walls with the foam from egg cartons. Not only will these strategies not improve the acoustics, but they can actually make them worse by absorbing only high frequencies while leaving low frequencies untouched. So before you waste your time heckling your friends and family for empty egg cartons, consider these easy alternate strategies. Reflection filters wrap around the microphone and cut down on the sound waves that get released into the room in the first place. Though no substitute for proper acoustic panels, these filters make a decent mid-level treatment that falls somewhere between blankets and professional paneling. 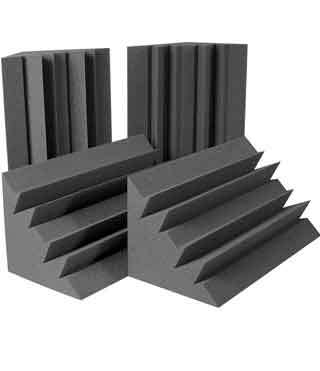 At roughly one-tenth the cost of a full acoustic panel treatment package, reflection filters are an excellent way to boost the quality of your recordings on a budget. By placing the microphone as close as possible to an instrument or singer, you can capture more direct sound and minimize the amount of reflected sound that gets recorded. Be careful if using this method, as placing the mic too close can pick up more bass tones and alter the quality of the sound. Try experimenting to find the distance that sounds best with your voice or instrument.. Dynamic mics are often less sensitive than condenser mics, meaning they will pick up less ambient noise. 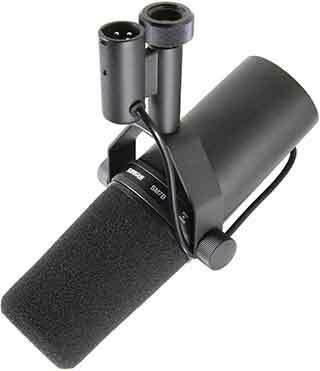 This won’t yield the same high sound quality as condenser mics, but they’ll result in a better overall recording. 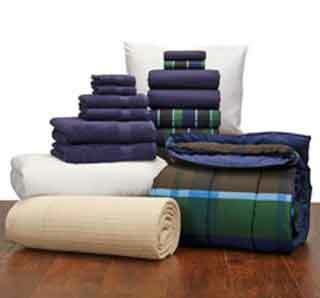 While they won’t work quite as well as bass traps and acoustic panels, everyday items such as blankets, pillows, clothes, or soft furniture can absorb much of the reflected sound. Hanging old quilts and laundry from you studio walls may look a little strange, but its a reliable alternative to professional paneling. 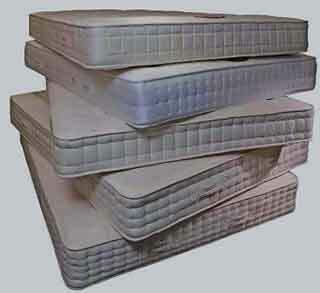 If you have an extra mattress sitting around your home, consider bringing it into your studio and propping it up behind you as you sing. Thick, solid-core mattresses absorb lots of reflected sound, so facing them toward the mic can significantly cut down on unwanted reverb. If you’re looking to set up a home recording studio, the best thing you can do is to research and formulate a plan beforehand. 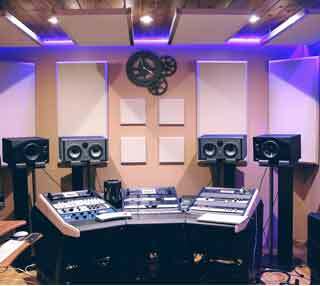 Even if you can only afford a few panels to start out, knowing which ones to buy and where to install them can make all the difference in helping you achieve the professional sound quality you’re looking for. Remember all the best home studio equipment in the world isn’t going to make the best producing sound if you have a studio that creates quality issues. Acoustic Treatment can become an art form where you know just what the best foam or panel it for the room and where it should be placed.